Modern & Easy to Use. Easier Way to Make Green Screen, Split Screen, PIP,and Tilt Shift video. Get inspired with Hollywood effects. 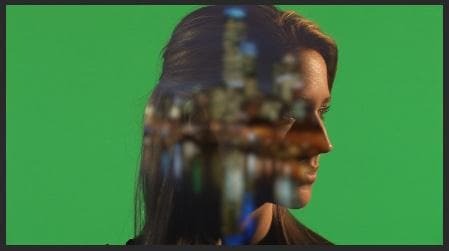 Chroma-key (also called "green screen") effects are a staple in video production. 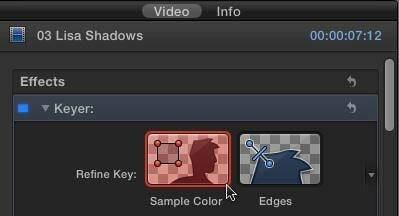 What FCP X effect does is allow you to make the background behind an actor transparent so you can place the actor into a different environment than a studio. 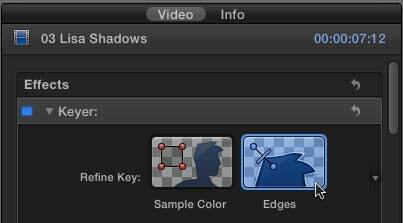 This is a basic tutorial about Apple Final Cut Pro X, professional video editing software. However, if video editing is new to you, consider Wondershare Filmora for Mac. This is a powerful but easy-to-use tool for users just starting out. Download the free trial version below. Actors should be at least 10 feet in front of the green screen. This avoids light from the background "spilling" around their body or shoulders. In general, don't cast shadows on the green screen. Be very careful shooting feet. The green background should be as smooth as possible. Paint is always better than fabric; avoid wrinkles and folds. The green background should be lit smoothly, both from side to side and top to bottom. I try to have the green background display between 40-50% level on the waveform monitor. 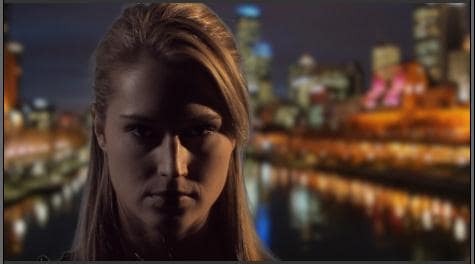 There is NO relationship between how the background is lit and how your actors are lit. This article will illustrate that. Light your background for smoothness. Light your actors for drama. Don't worry about having the green background fill the frame. 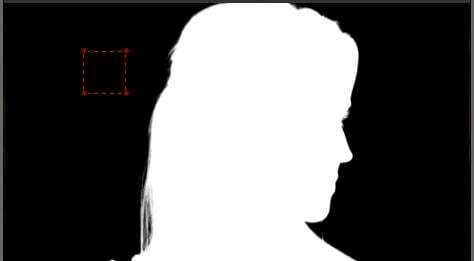 It only needs to completely surround the edges of your actors. Garbage mattes are used to get rid of junk around the edges. The green screen image is always placed above the background. You can place either the green screen or background image into the Primary Storyline. I find it easier to put the background in the Primary Storyline, because it makes editing the green screen image easier. But this is purely personal choice. Don't panic if your image looks weird – we will fix it. Click the Sample Color icon. This allows fine-tuning the selection of the background color. In the green-screen image, drag to select a representative section of the background. I try to get close to the face, but not so close that I accidentally select loose hair or skin. Click the Matte button to display your key as a white foreground on a black background. If an edge is too pronounced, or needs help, click the Edges icon. Then, click and drag a line from the foreground to the background in the Canvas. 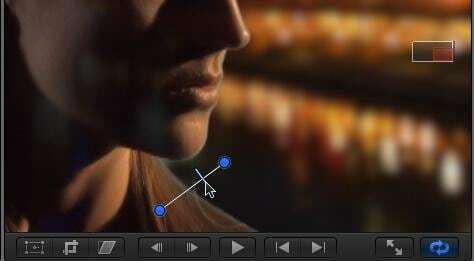 Drag the midpoint slider (where my cursor is) until the edge looks the best it can. Different video formats make this easy (ProRes), while others (HDV, avchd) make this much harder. Perfection is impossible – do the best you can. Light wrap, though, is aesthetic. What it does is blend colors from the background into the edges of the foreground, to make the entire key look more "organic," as if the foreground and background were actually in the same space. This is a subtle effect, but very cool. Twirl down Light Wrap and adjust the Amount slider and watch what happens. Drag the other sliders around and see what happens. The nice thing about this setting is that when it looks good to you, it is good. The amount of the effect is totally up to you. Remember, Light Wrap only affects the edges of the foreground and should be used subtly. When you are done, you have a great looking key! Once you pull the key – which is film-speak for creating a green-screen shot, as I described above – and get it looking as good as possible, there's one more step: adding a garbage matte to get rid of all the garbage surrounding your actors. Once you get your key looking as good as you can – which in this case isn't all that good – drag the Mask effect (Effects > Keying > Mask) on top of the green-screen clip. NOTE: The Mask effect should always be added after the Keying effect, so that the Mask is below the Keyer in the Inspector. Then, drag each of the four circles to create a shape such that your foreground image is contained inside it, and everything you want to exclude is outside. Here, for instance, we removed the light stand, the edge of the green background and the tearing at the top of the image. I've found this Mask effect works best when applied to a connected clip. However, the big limitation of the Mask effect is that you only have four points to work with. That's where a free effect comes in, which allows you to create far more flexible shapes with it. It's written by Alex Gollner and is available on his website – alex4d.wordpress.com/fcpx/ – I recommend his effects highly. The chroma-key filter in FCP X allows us to create some amazing effects. If you want to use green screen effects more easily, here is Filmora for you. 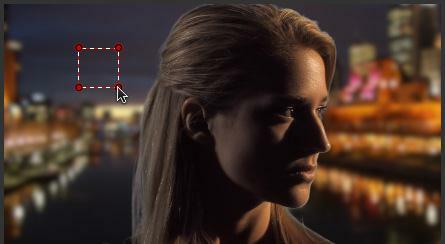 You can appaly Chroma-Key effects with just a few click. Have fun playing with it. How do I use the Green Screen (Chroma Key)?